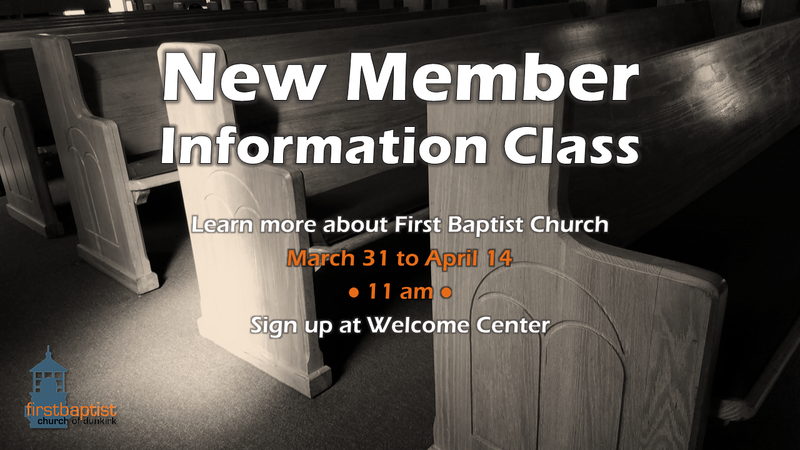 Ready to join First Baptist? Or maybe you just have some questions and want to learn more about our church. All are welcome to be part of this 3-week Intro Class. We will meet with Deacon Mark Stuczynski in the lower level classroom area. Sign up at the Welcome Center or just show up. If you cannot attend these three weeks, please contact the church office for the next scheduled class.